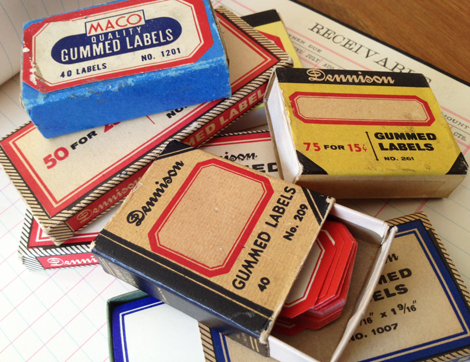 I’ve always adored little vintage boxes of Dennison and Maco red border labels and have lots in my stash of studio goodies. The trouble is, I never want to use them up because they’re not as easy to come by as you might think. They can be found and purchased on Etsy and Ebay, but being so popular among crafters & designers, you know- that whole supply-and-demand-thing, the cost can be pretty hefty compared to the price of a new box back in the day. An alternative is to simply print your own from a free download I have for you over at SC Johnson Family Economics! Bonus: Here are a more similar label printables for you! Disclosure: I am a paid blogger for SC Johnson. This entry was posted in Family Economics, Free digital collage sheets, Free digital downloads, Free PDF files, free vintage art, organizing, Paper Crafts, SC Johnson, scrapbooking. Bookmark the permalink. 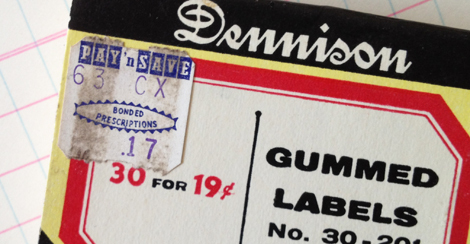 I have loved this style of label for so long, but you are right about them being few and far between. That is why I was thrilled when the new Martha Stewart for Avery collection came out. The designs are are almost identical, and so affordable! Plus, you can run them through the printer! I love these! 🙂 Thank you! I tried to comment over at SC Johnson but their Captcha is impossible to pass (I tried five times and gave up). 🙂 Thanks again! Oh no! I’ll be sure to let them know! Thankk you so much, I love those type labels as well. I’m so excited about these! Thanks for sharing them! I love these types of labels, but I don’t have any, and it’s wonderful to be able to just print them out whenever I need them! I’ve just started custom labeling my pantry, these will come in handy. sooo lovely! ill use them in my kitchen jars! 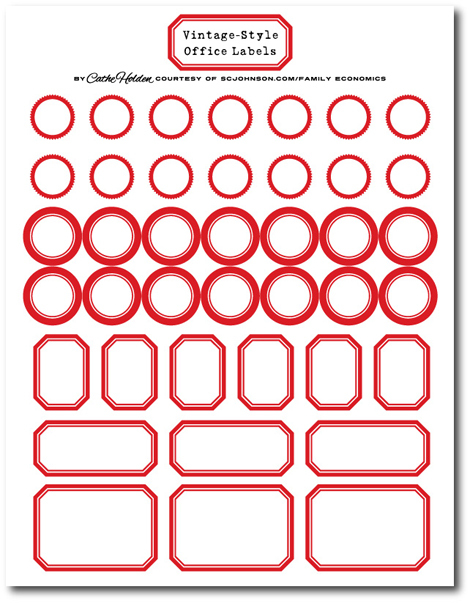 Cathe, awesome free labels! I used them in my office and it looks so nice. Thanks for sharing! Hi Cathe! What an honor having you in my blog! I do thank you for sharing so many nice things, interesting and useful. I am your fan and love this vintage style you have to create. I’m glad you liked it, I used in my son’s room and everyone thinks he sees beautiful! I said that is out of scale, because here in Brazil we use the measures in centimeters / meters, not inches. My husband wanted to try to move, but we better leave the original, and not interfere with your project. Anyway, thank you very much for your visit on my blog, I was very happy! Thank you and kisses from Brazil! These are wonderful – thank you so much for sharing them! I love these labels too. Thank you for sharing these. Love all your stuff. Daughter going to Australia with People to People & need to raise $8500.00 the things we are finding free with you will help so very much. THANK YOU! THANK YOU! THANK YOU! Thank you for sharing with us. These labels look lovely! I tried to post this comment on Family Economics, but the security code at the bottom kept rejecting my entry. Pretend you’re reading this there! I just wanted to I am so thrilled to have found your labels through sheer luck via Pinterest during a Google search. 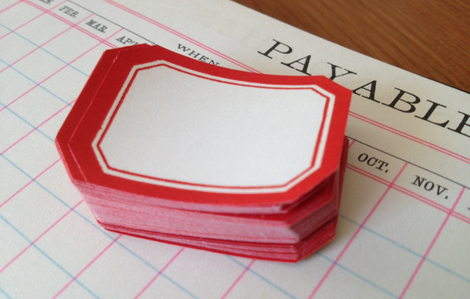 The adorable red labels are EXACTLY what I was looking for, having run out of my pricey Martha Stewart Avery labels. Thank you for the template, and I’m now looking forward to reading your other blog posts. You’re just splendid! © 2016 Cathe Holden. Powered by WordPress.